Do you reuse shopping bags? You know, those little plastic ones that are perfect for your bathroom or bedroom trash cans? If so, where do you store them? When I was growing up, my mother had those silly things everywhere. You could find them under the kitchen sink, under the bathroom sink, in kitchen drawers and more. I don’t know about you, but I prefer my home to be a bit more organized than that. I’m cheap though which means that I don’t want to pay for some contraption to hold onto those bags. Enter this upcycled shopping bag holder. 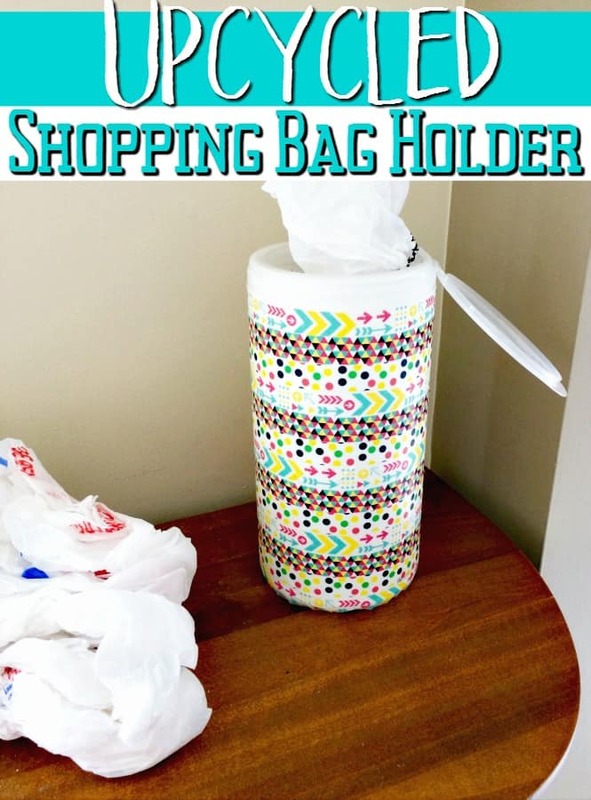 If you’re looking for a way to keep the bags under control, this upcycled shopping bag holder is a great way to do it. Not only does it keep your shopping bags from being tossed just anywhere, but it also uses a container that would otherwise be thrown away. I love upcycled DIY and Crafts and this is one of my favorites to make since they’re so easy. I’ve made a ton of them to give to people – not as gifts but “just because” – who have asked me for home organizing tips. 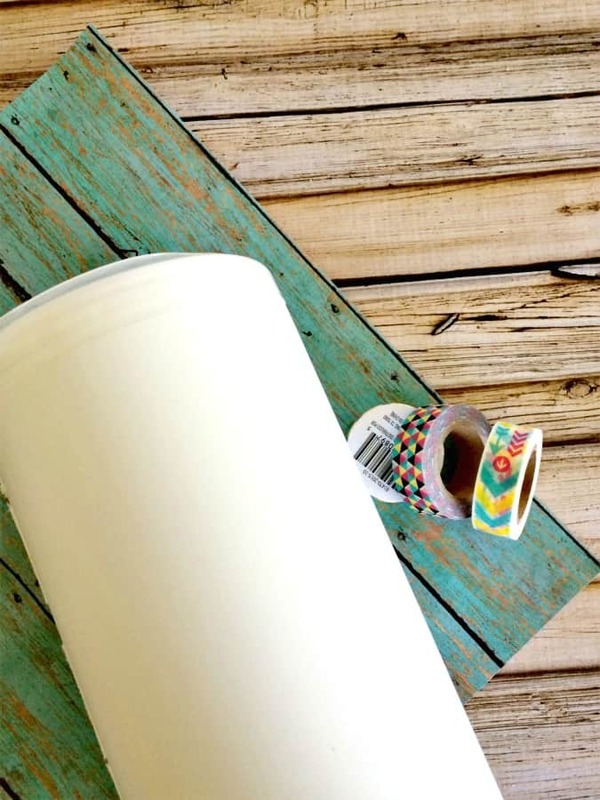 When your make your own upcycled shopping bag holder, you can use any type of container that has a pull through lid. 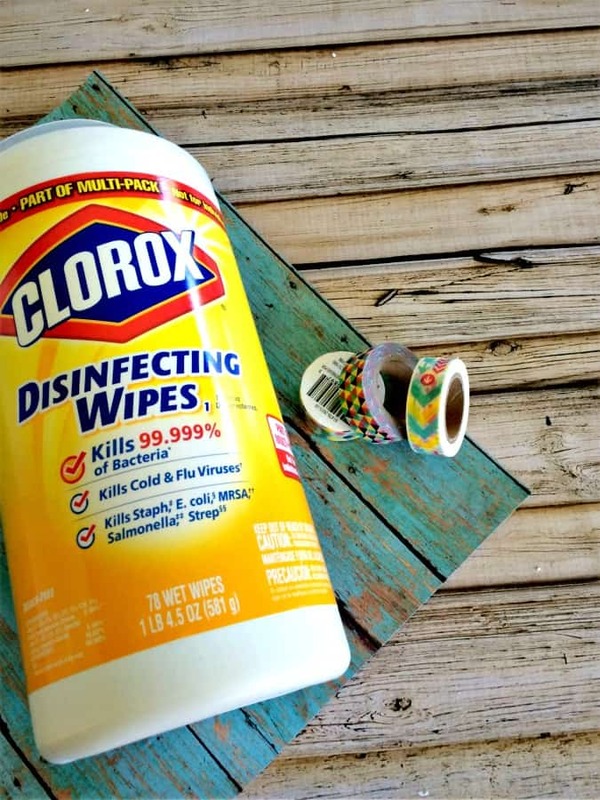 We used an old Clorox Disinfecting Wipes container, but any will work. 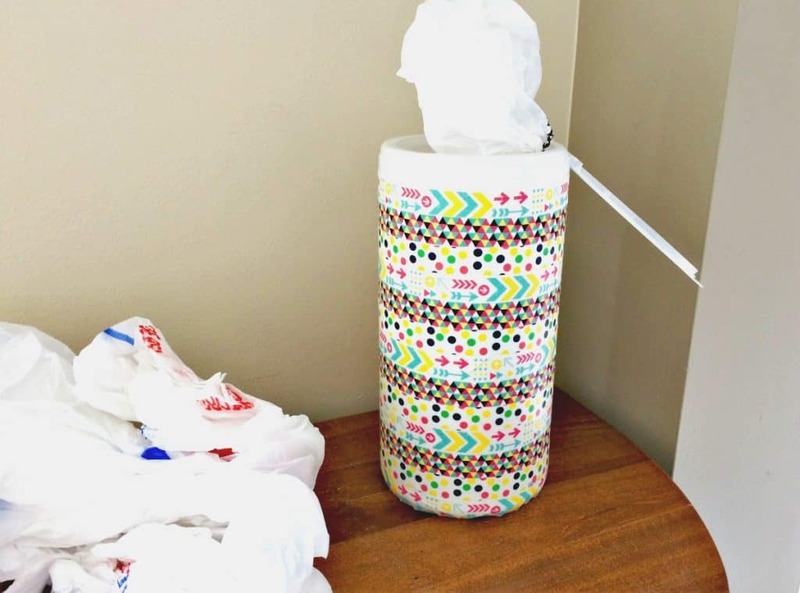 You could even use empty baby wipes containers if you had them on hand! For decoration, we used Washi Tape. I love how easy it is to work with and how great it looks when it’s finished! To begin, remove the label from your container. This is easy to do if it is a paper/plastic label, but if it is printed onto the container. If your container is printed, you can remove the print easily by cleaning it with an acetone nail polish remover and a cotton ball. Once the label or print is removed, wipe the container clean and allow it to dry fully. After your container is dry, start applying the washi tape one strip at a time. Alternate one layer of washi tape for each design. 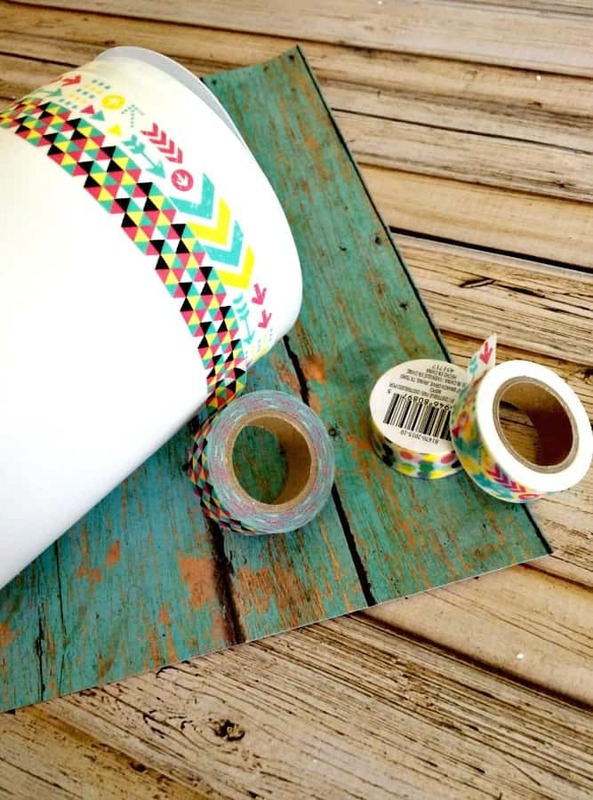 Work your way down the container layering a different design of washi tape as you go. 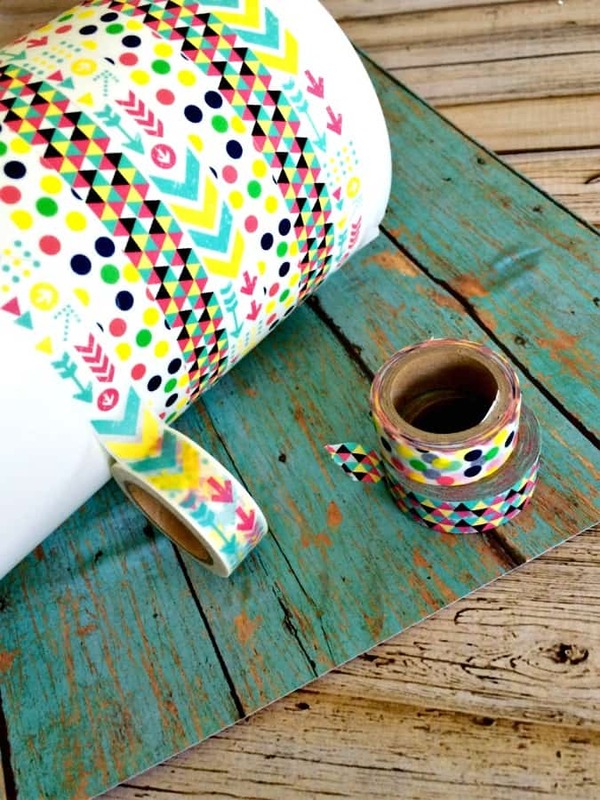 Once you get to to the bottom, round the washi tape off to finish your design. Then lay your bag flat and roll them up at one end. Place them into the container and put the lid back on making sure that you thread the bags, from the middle, up through the lid. That’s it! Your bags will now pop up when you pull another one and under the kitchen sink will stay clean and tidy! 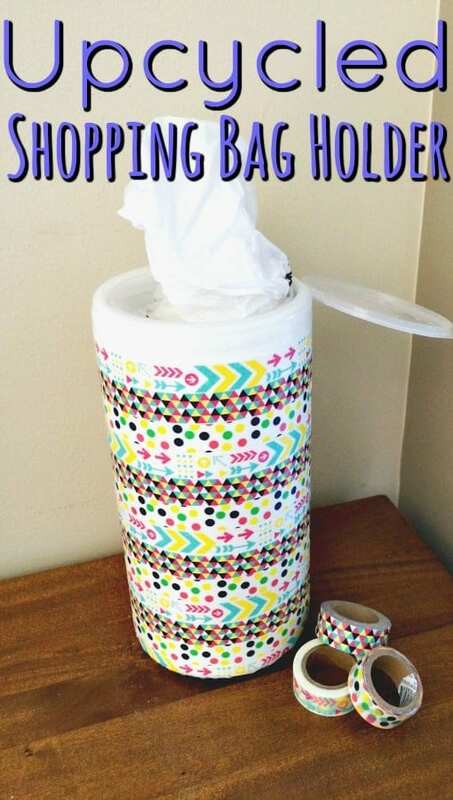 Love this idea and it’s super cute with the washi tape! What a cute idea and it looks super easy!